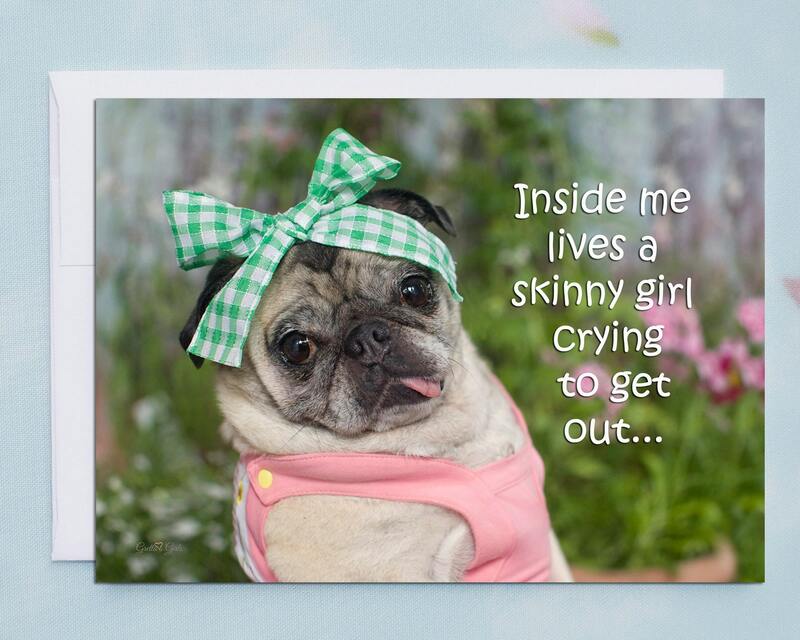 This funny greeting card features one silly, sassy pug. This funny card is sure to bring light hearted giggles to special friend any time they need a pick-me-up! 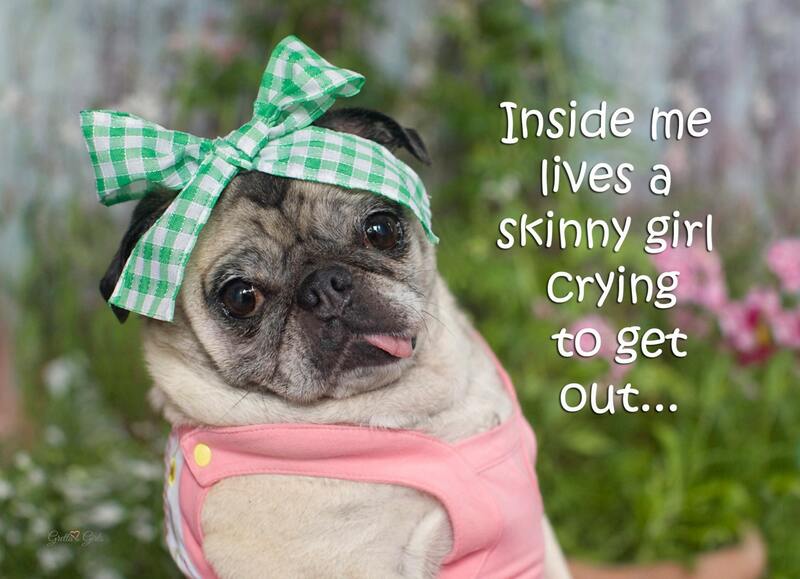 This item is one, "Inside Me Lives a Skinny Girl," funny card for friends by Pugs and Kisses and Gretta's Girls. 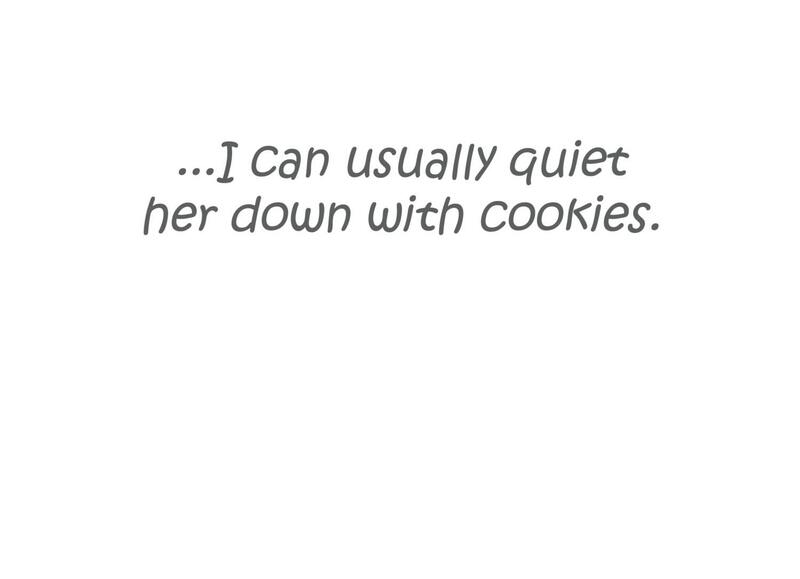 "Inside me lives a skinny girl crying to get out..."
"...I can usually quiet her down with cookies"
This hilarious card is sure to bring smiles and laughs to your bestie girlfriend! SAVE 20% OFF your purchase when you join our newsletter! Get your 20% off code NOW before you checkout!